Hyperloop concept from the original SpaceX white paper. It’s been just a couple years since two major hyperloop companies have been in existence and the outlook is dubious. Hyperloop One had a cofounder breakup which is often an ominous sign in startups, and there hasn’t been much news of the other company. Even if these companies don’t succeed someone will take the opportunity and figure out how to execute. In a place like the Bay Area, the hyperloop could mean an alternative to local governments who refuse to build new housing. 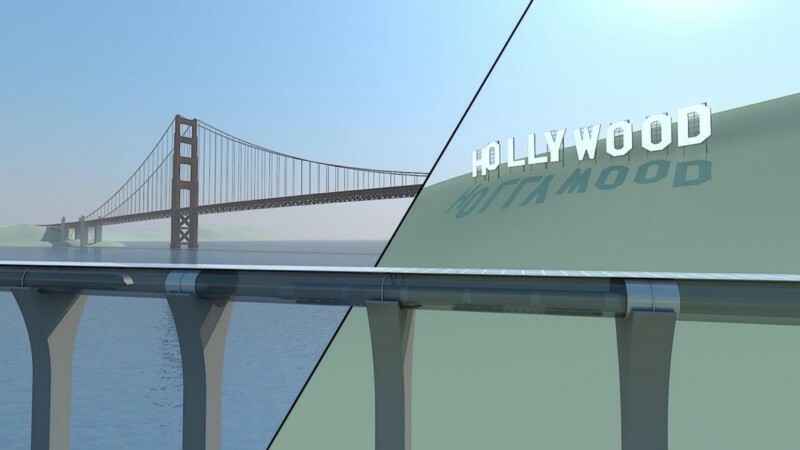 Why commute by car from Berkeley over to San Francisco which could take over 45 minutes each way, when you could hyperloop into San Francisco in 20 to 30 minutes? Even assuming self-driving vehicles eventually earn a comparable time, housing costs are still problematic. 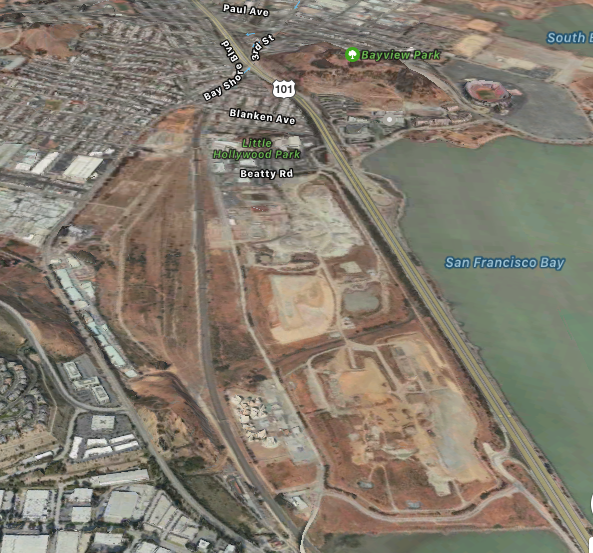 Brisbane, a city adjacent to San Francisco, recently rejected a proposal to build thousands of new units on this large plot of land which has two 101 exits and a Caltrain station. Driving through it at night you’d think you were in wine country. I asked my friend who is a city planner from MIT what San Francisco could do to relieve the problem. He replied that properties need to stop being used as unoccupied investment vehicles and the city should let loose on high rise construction, particularly in former industrial areas like SoMa, which allows for a compromise to preserve the character of neighborhoods like Noe Valley. So far few Bay Area cities are making efforts to allow for vast new home construction. 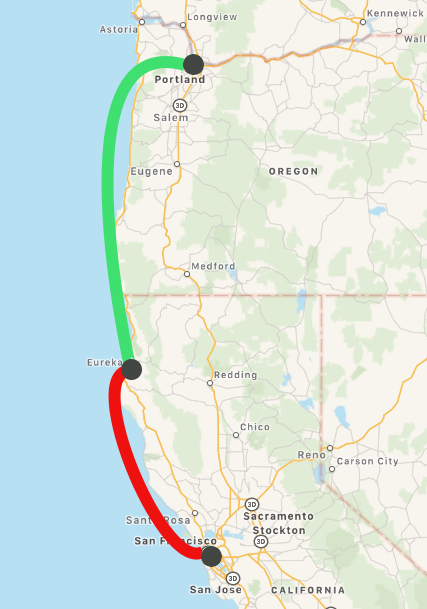 I realized, like many others probably, that hyperloop could solve this problem by connecting San Francisco to more rural areas and building an expandable city there. I ran this idea by my friend who told me newly planned cities almost never succeed, and it is far better to improve existing cities. But you know, Wall Street traders from Wharton and venture capitalists from Stanford and city planners from MIT excel at learning from history; one thing they have in common is they can’t predict the future very well. The kind of effect the hyperloop has on society may be predicted by recalling the effects of new technologies like the railroad or air travel, but history can’t tell us what happens when we have multiple technologies that are only a decade or two old working together. Just as Tesla was able to mark billions in preorders for the Model III, we could use the Internet to propose a new city for which a hyperloop company has worked out a route. A developer could take preorders for home plans, and the hyperloop company could get to work. Some attrition may occur, but also augmentation once the city becomes a reality. 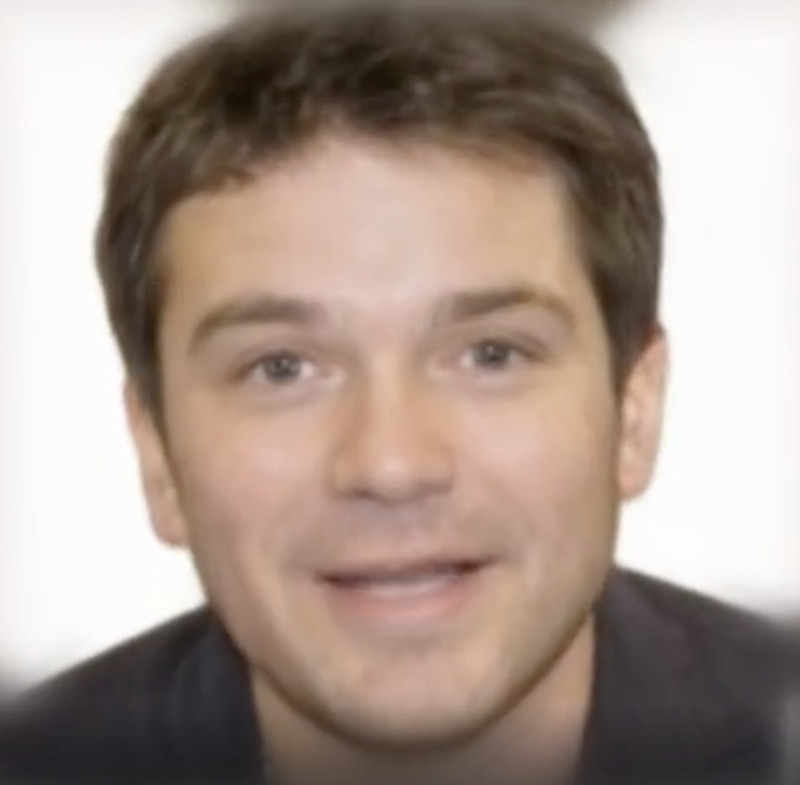 Would people buy a home site unseen? For the current generation of homebuyers the answer may be yes. Everything is bought online today, even cars. What is more important is if friends are also buying in the city and how easy it is to get to San Francisco or Portland. Being in such a new city provides more opportunity. Let’s assume the new city is around Eureka, CA. Someone who lives there decides to leave their San Francisco job for a job in Portland, so their commute goes from 20 minutes to 30 minutes one way. After work on Friday they decide to head to San Francisco to get an Impossible Burger at Cockscomb with old friends. No big deal, just a 50 minute hyperloop ride from work and a 20 minute hyperloop ride back home. Hyperloop could create new cities between San Francisco and Portland. All of this is predicated on a hyperloop company successfully creating the technology and making money. But I think once that happens, public and private sectors will recognize the incredible opportunity and devote resources to seizing it. People will buy land, create crowdfunding campaigns, secure bank loans, new homes and parks will be created, new cafes and businesses will rise, and the quality of life will be among the best.